The Supreme Court on December 6, 2016, heard oral argument on whether the export by Roche, which has an office in Indiana, of an enzyme triggers patent infringement. 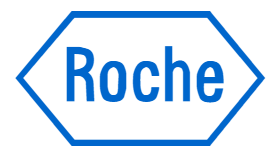 Roche’s customer Life Technologies imported Roche’s “AmpliGold Plus” enzyme into the United Kingdom, and used it to build genetic testing kits. Life Technologies did not sell the kits in the US. However, Promega Corp. sued it for vicarious patent infringement (inducing or contributing to patent infringement) claiming that by purchasing enzyme in the US, Life Technologies violated 35 U.S.C. § 271(f)(1). This provision of the patent Act makes it an infringement to supply abroad “all or a substantial portion of the components.” The Federal Circuit had earlier held that the AmpliGold Plus enzyme, met the requirement of a “substantial” portion of the components. The Supreme Court seemed to agree that “substantial” may be ambiguous, but some Justices suggested that supply of a single component was more properly considered under Section 271(f)(2), which addresses the supply of a non-staple, specially made component. Promega distinguished (f)(1) and (f)(2) as exporting counterparts to Section 271(b) induced infringement and §271(c) contributory infringement, respectively. The transcript of the hearing is below.